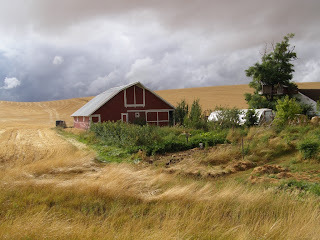 A barn in the palouse, somewhere between Spokane and Tekoa, Washington. Along the Palouse Scenic Byway. Old Waitsburg Road. 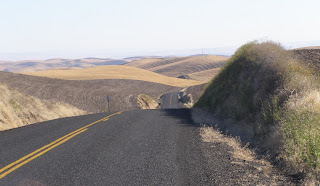 Alternative to Highway 12 between Waitsburg and Walla Walla, WA. Robert - This is an incredible photograph. Being an artist, I had to comment on it. The composition and colors you captured actually make it look like a painting. I have always enjoyed viewing your trip pictures. ~ Loren (Remember from the Y and Wednesday night dinners? I moved from Bellingham back to Minnesota in 2004).